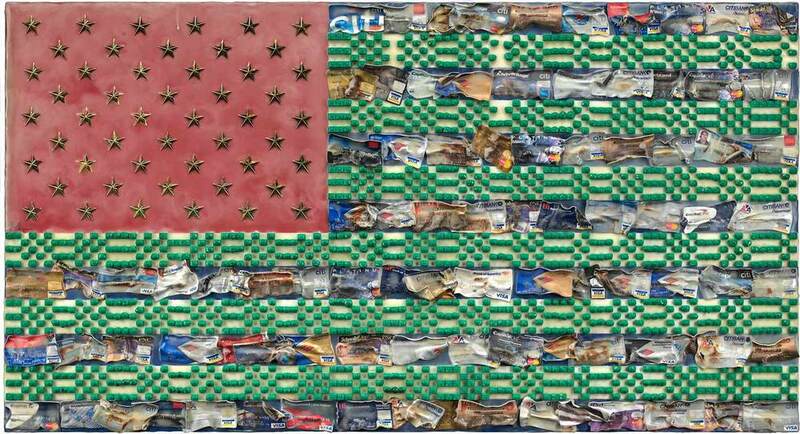 Meltdown, 2012, 26X48” Monopoly house markers, assorted credit and bank cards, metallic gold stars, and encaustic on board. Consumer over exuberance and institutional greed fed the collective delusion that security and wealth could be built on mounds of debt. Financial institutions and consumer lines of credit crashed leaving many homeowners in a slow meltdown and the U.S. economy in the biggest recession since the Great Depression. Consumers would ultimately bail out corporations deemed "too big to fail" as they themselves struggled to recover. The disparity in financial and personal responsibility underscores how unchecked power and income can create a massive social injustice. The intense red flag field is a symbol of "being in the red". Fifty simple gold stars suggest the rise of the gold standard in the face of monetary collapse and greed. Monopoly houses are arranged in patterns reflective of housing tracks and computing zeros and ones. Some are intact, others are in varying stages of melt. 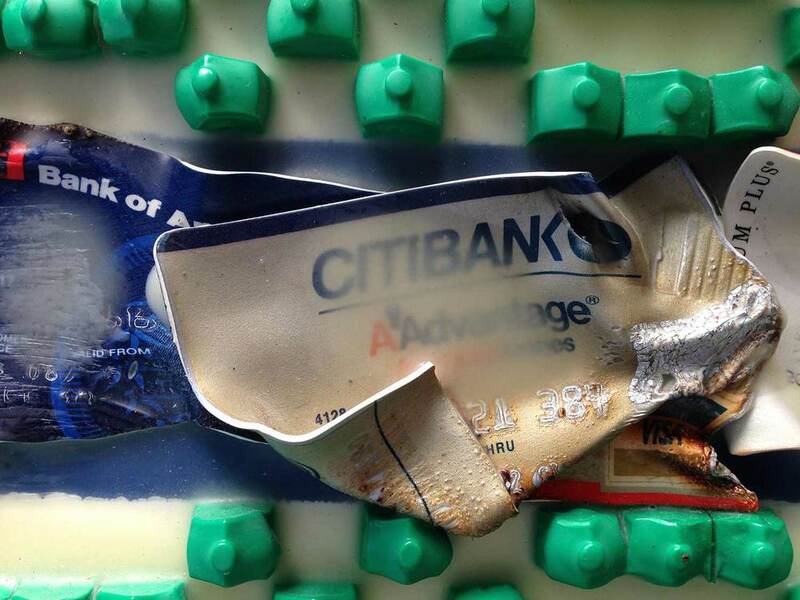 90 credit cards are twisted, burned, stretched and contorted but still reveal the names of culpable institutions and their products.